The beauty of art is found in its ability to bring together people of all ages, ethnicities, classes, and genders. Regardless of background, art exists to create a space of peace, beauty, and truth within those who experience it. Ex Creatis, Saddleback Church’s arts initiative, hopes to do just that. By providing a creative space for artists to paint, draw, sculpt, dance, and everything in between, Ex Creatis aims to transform the community through creativity. In an effort to engage the global community, Ex Creatis gathered 11 artists for a monthlong training and teaching trip to Europe. The first half was spent working with EDGE Project, an annual summer mission project in Altea, Spain for artists to grow their faith, community, and skill. From there, the team moved on to Berlin, Germany, the art capital of Europe. Working with Saddleback Berlin, the team trained volunteers and spent time with the local community in order to gather a group of artists hoping to create their own arts initiative. Though the goal of the trip to create and launch an art ministry, the team spent time in the streets of Berlin, ministering to anyone willing to stop and watch. A hip-hop artist dancing along the sidewalk, sketch artists drawing portraits, and musicians playing guitar for anyone to listen – this is Ex Creatis. A hip-hop artist dancing along the sidewalk, sketch artists drawing portraits, and musicians playing guitar for anyone to listen – this is Ex Creatis. 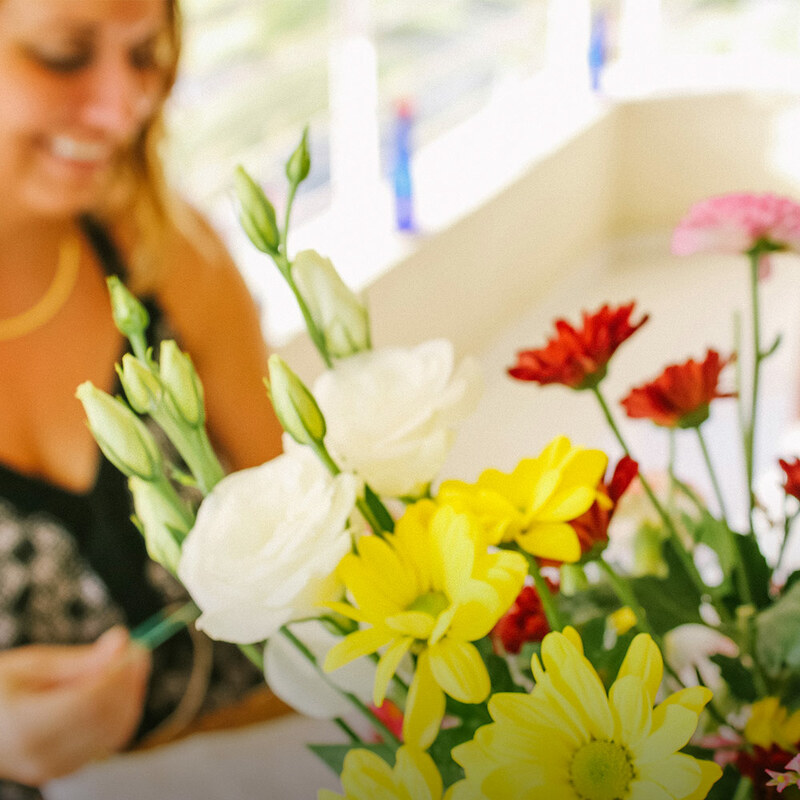 Megan thought about how she could use flowers as an art form, and after talking with her friend Mandy Hinkle, it all became clear. Mandy is an incredible chef hoping to launch her own business centered around the idea of food bringing people together. With this vision in mind, Megan knew she and Mandy could team up using their skills in floral work and cooking to create a gathering for women in their community. After weeks of prep, their first floral gathering was a hit. The women in attendance sat on colored blankets in the backyard crafting floral crowns while eating various hors d'oeuvres and desserts. As Megan saw how the gathering allowed for authentic conversation, she knew it would be a great opportunity to connect with the the people of Altea and Berlin. Although their resources were limited overseas, members of the Ex Creatis team came together to put on a floral gathering in Spain for members of the EDGE project. After all the prep work had been done – flowers purchased, room decorated, food cooked – only two people showed up. “We were a little discouraged at first, but the women loved it. We were able to have great one-on-one conversations with them that we wouldn’t have been able to have if more had come,” Megan says. “I want you to know how much that floral gathering meant to me. I left feeling so loved and valued." If you are a local artist, or want to try your hand at painting, drawing, sculpting and everything in between, Ex Creatis would love to have you. Ex Creatis meets each Saturday for “Open Create,” a time for artists to come together at the Lake Forest studio and create together. Visit excreatis.com or email jasonl@saddleback.com for more information.